Tech Superhero Violet Ninja loves to practice Kung-Fu, and hates doing her homework. To avoid her homework she creates a very clever robot and sets it to work! What could go wrong with this amazing idea? 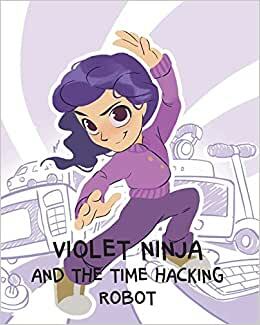 Violet Ninja is part of a series produced in collaboration with Tech Girls are Superheroes. For more books in this series, download the Kindergo app from iTunes today!